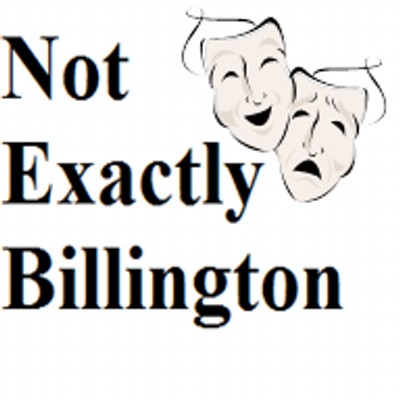 Not Exactly Billington have set themselves a challenge to read a new (to them) playtext every week. In March, their #ReadaPlayaWeek titles included Lisa Evans‘ Stamping, Shouting and Singing Home, Marie Laberge‘s Night, Owen Sheers‘ Unicorns, Almost and Adam Barnard‘s buckets. Evans’ play tackles race tensions during the time of segregation in the American Deep South of the mid-twentieth century. Young Lizzie Walker is a headstrong but naïve girl raised by her mother in the shadow of her great-grandmother, Sojourner Truth, a rebellious slave and Christian Feminist. While Lizzie contemplates the teachings of the bible and the contradictory interpretations made by those in power her sister, Marguerite, begins to take a stand against the wealthy white family she works for and becomes increasingly active in the Civil Rights movement. Evans intersperses scenes with snippets of traditional songs of freedom and has her characters dress up as ancestors, white women and preachers from a prop box on stage. This gives the text a theatricality that often doesn’t come across through reading alone. I found the biblical debates fascinating, especially the skewering of the concept that man’s downfall is fated by woman/women (aka Eve in the Garden of Eden). Evans contemplates these theological and philosophical inequalities with humour and poise. Laberge’s play is a taut two-hander that imposes a creeping sense of unease amidst the mundane setting of a homely motel room. Roland has made the long journey to collect his mute daughter, Christine, in order to bring her home to visit her sick mother. A storm has interrupted the drive home, and in the confined space of the twin motel room a psychological thriller unfolds. Night explores the lifelong impact parents have upon their children and the ways that people use and abuse this most complex of relationships. We learn that Roland’s mother was an alcoholic – an addiction he nursed and abetted while being so ashamed of his roots that kept it secret from his entire family until now. Christine married young and Roland believes she needs rescuing from her violent husband. Twisted ideals and nauseating dreams of lost innocence and perfection make for uncomfortable reading. Laberge has a skilful way of upending our perceptions – nothing is as it initially seems and she manages to shock until the final brutal seconds. Intense, prosaic, and a masterclass in the cruelties of passive aggression, Night shows just how gripping a small but deadly intimate play can be. Unicorns, Almost (2018) by Owen Sheers. Sheers’ one man play is a tribute to the little known WWII poet Keith Douglas, who initially fought in the Egyptian desert before being killed in Normandy. He was only 24 years old. Douglas wasn’t an established poet and his only collection of poems was published after his death. So what is so remarkable about the play is how it manages to distil so much of Douglas’ voice and life from such a small body of work, while remaining so eloquently written. The text is economical in its turn of phrase (the sentences tend to be short, often limited to a thought per line), like Douglas’ poetry. But, again as with Douglas, substance dominates style, and a full-bodied character emerges in this young man as we see him figure out his way through love, war and poetry. Death hangs over Douglas’ life, which (as Sheers notes in the introduction) lends the play a natural theatricality. Just as Douglas describes soldiers as ‘Actors waiting in the wings of Europe’ watching ‘the lights on the stage’, he is also aware of his own final curtain, leaving him with a pressure to struggle with his craft to write something which will outlive him. The play is mostly a diary to capture his inner contradictions about the horrors of war and the frustrations of poetry. He literally seeks war, stealing a van to drive to the frontline, but at the same time hates the violence and the romanticising of it – there are no patriotic inklings in him. And unlike his more established peers back in Soho who says his work lacks musicality, he wants to reflect a truer experience. The Douglas poem which closes the play begins ‘Remember me when I’m dead/ and simplify me when I’m dead’. Sheers brings Douglas’ work and life to the fore in a way which commits to finding the depths of this poet. Published by Faber and Faber. 33 interconnected scenes performed by a non-stipulated number of people make up Barnard’s Churchillian play. And so part of the joy (and the play is a joy) is that you find yourself playing director. Are these characters new or have we seen them before? How many are there in this scene? How do these characters know each other? Could this go here? Do we have to end with The End? In these 33 scenes, some merely a line or two long, Barnard crashes together moments in a life. Some of them are small and inconsequential, everyday occurrences: a Facebook update or meeting someone new. But some are bigger, more memorable, moments that you would dread. He then observes the minutiae of these moments, exploring the phenomenological and thought processes, the little moments of life’s big moments. A play with few (if any) rules which squeezes the most out of each scene. Standout scenes include a hastily-decided bungee skydive, and a terminally ill teenager blackmailing a popstar to kiss them. And it includes a great pre-script note. Published by Nick Hern Books. Like with buckets, the text for Victory Condition is a starting point, a suggestion of how it can be performed. Thorpe gives us two monologues (one by a man, one a woman) followed by a dialogue. It’s suggested that the dialogue does close the play but other than that the monologues can be intercut with each other. Dotted lines split the monologues up into separate thoughts, again a suggestion for pauses or a new part of the monologue to begin. If the performance options for both plays are not endless, then there certainly are many possibilities for them. Thorpe also gives us a naturalistic set (an apartment overlooking a city at sunset) and defines a situation (a couple returning home from their holiday: unpacking, making a drink, cooking, not cooking, ordering a takeaway, going to bed) as a backdrop for the monologues – or a series of actions to help inform performance decisions. Other than that, I’m stuck as to what to say. It’s a play which is fascinatingly elliptical and at times dense with ideas. The woman’s monologue in particular is amazingly structured, jumping from idea to idea with nothing but a comma in the way and yet maintaining clarity. The ideas are expressed lucidly but we are awash with them. In her monologue, the focus of one moment is on herself, her immediate and recognisable surroundings, then jumping to wider global and societal ideas – ideas which can go from people drinking coffee in Johannesburg to the embryonic stage of a future genius in Mexico City to an eagle catching a fish. Again, like with buckets, it’s a play which in both its performance options and its ideas is interested in immense possibilities. It’s a play to be seen, to be read, to be re-read and re-seen. The meta-theatrical dialogue which captures and skewers the often easy metaphors and endings in plays is entertaining and typical of the play’s hunger to think bigger and ask more questions.